A customer of Microscope World recently needed an instrument to view quality control of their microchips. The system they ended up purchasing is a Meiji EMZ-5 stereo zoom microscope system with a C14+ microscope camera. The customer can use the software included with the camera to measure any scratches in the microchips, capture images of the scratches, and document these images. 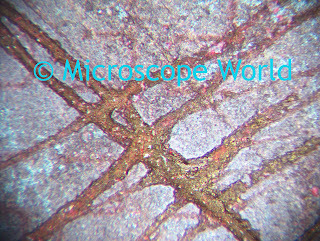 Scratched microchip, captured with a stereo zoom microscope.